This has got to be that guy from the TLC show "Sister Wives". It is a Utah license plate...Except this guy only has 3 wives and Mr. Sister Wives has 4. Maybe he's waiting until he gets paid for Season 2 before he springs for the 4th wife's sticker replica. 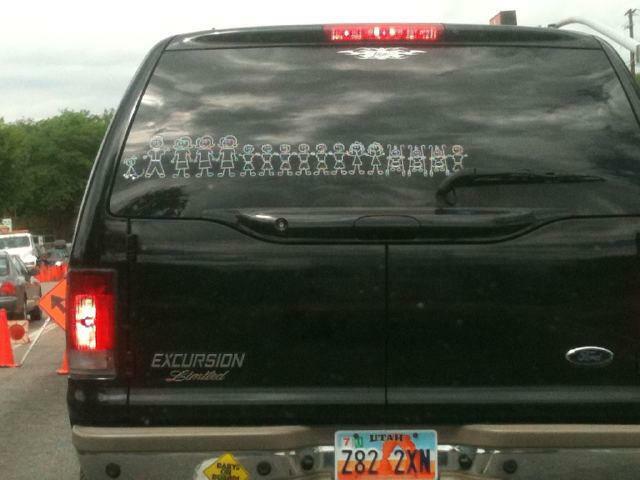 That's a whole lots of stickers and babies!